Little Kids Fubbles Motorized Bubble Fan Just $6.99 Down From $24.99! Ships FREE! You are here: Home / Great Deals / Little Kids Fubbles Motorized Bubble Fan Just $6.99 Down From $24.99! Ships FREE! GearXS has this Little Kids Fubbles Motorized Bubble Fan Just $6.99 Down From $24.99! Ships FREE! on sale for $6.99 (Reg. $24.99) + FREE shipping! 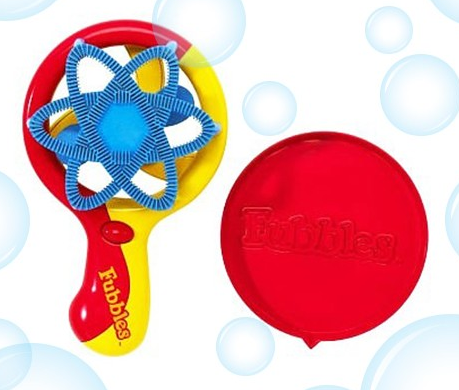 Blow thousands and thousands of perfectly round bubbles with the Little Kids Fubbles Motorized Bubble Fan. All you have to do is push a button. This fan will keep your children entertained for hours and hours. Runs on 2 “AA” batteries, which are NOT included. Order today while supplies last.